The overall purpose of this case study is to teach students to be skeptical of scientific claims, particularly those that are sensational and fall outside the boundaries of normal scientific explanation. 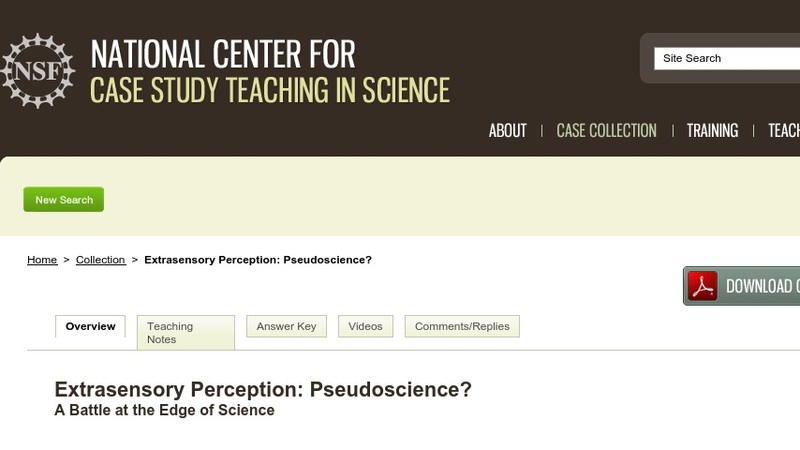 Students read the case and then evaluate information to determine whether they believe there is enough scientific evidence to confirm the existence of extrasensory perception. The case was developed for use in an introductory science or psychology course, but would also be appropriate for courses in human biology in which the nervous system is explored.